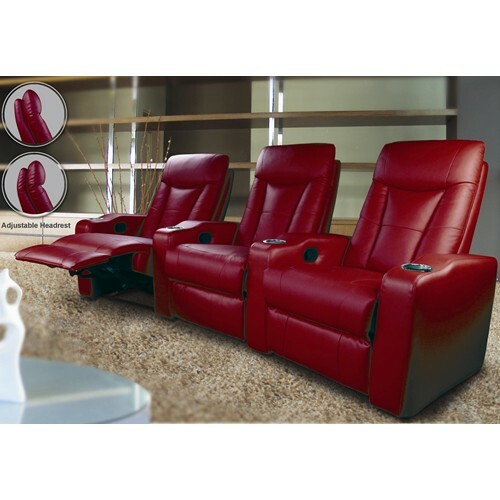 The Pavillion collection offers premium theater seating for your contemporary family room or home theater. 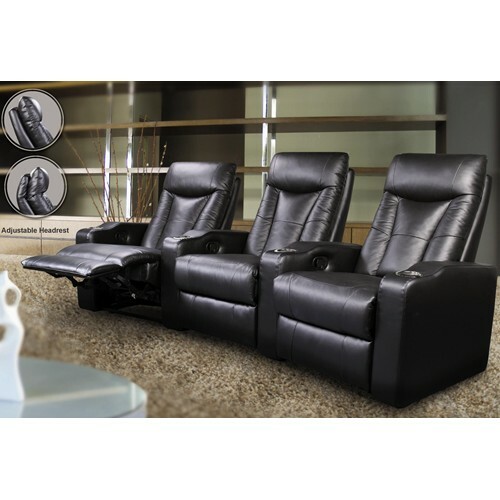 These sophisticated leather match upholstered pieces feature high plush back cushions with adjustable headrests, and deep pad over chaise seats, framed by sleek track arms. 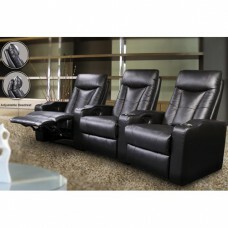 Available in black or red leather, and with different seat configurations, this group is sure to fit your home. Create a fun space in your home for gathering with family and friends, perfect for watching your favorite movies, or the big game.